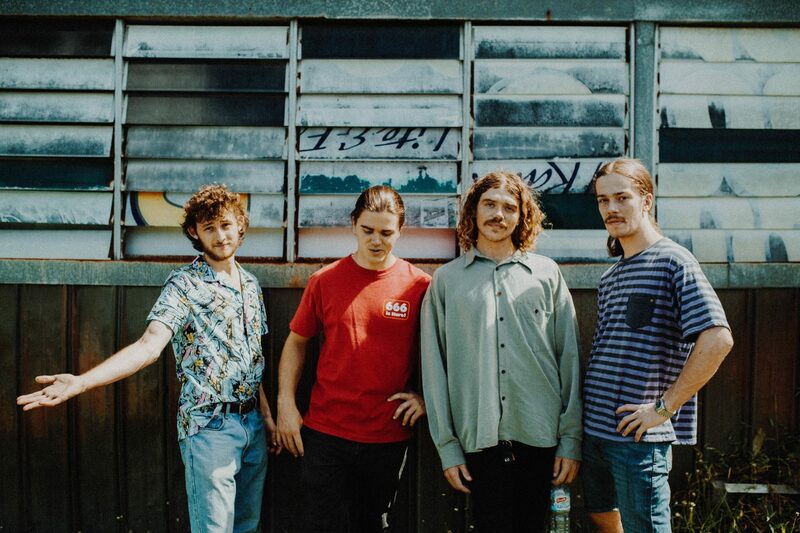 With an East Coast tour on the horizon, Brisbane-based four-piece Concrete Surfers today release their second EP ‘My Life On Repeat’, full of energetic cement-punk bangers and their signature forward thinking lyrics. 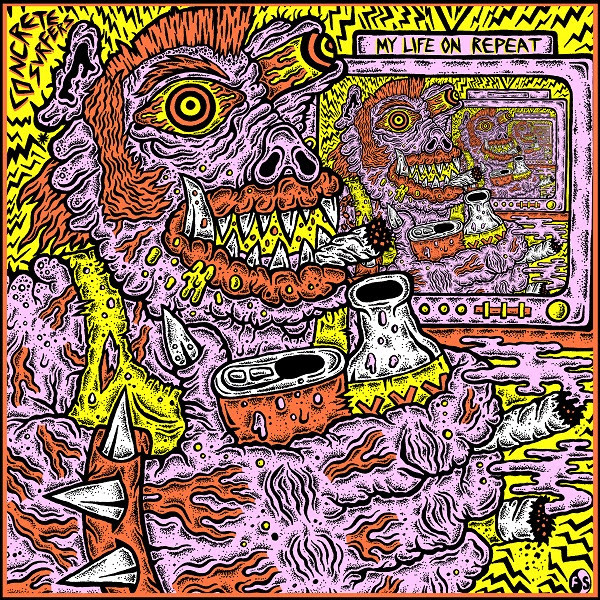 Premiering on The AU Review yesterday, My Life on Repeat EP is an explosion of fuzz and frenetic fretwork. Produced by good friend Alistar Richardson (The Cairos, Zeferelli, Clea) and mastered by Grammy Award winner William Bowden, My Life On Repeat is a step towards a more focused direction for the group. The EP features already released singles ‘VCR’ and ‘Miscommunication’, which individually have over 100,000 streams on Spotify, making it a perfectly packaged six-track whirlwind. The title track, released in February, received triple j airplay and rave reviews all round. Their innately Aussie rock tunes are connecting live too, with the band last month selling out out their hometown single launch for title track ‘My Life on Repeat’ on presales. Concrete Surfers have also shared stages with heavyweights like like Royal Blood (UK), The Gooch Palms, Harts, Ocean Alley, Pist Idiots, Ruby Fields and Drunk Mums, as well as making appearances at The Blurst of Times Festival, Against the Grain Festival and Beach Sounds with more to be announced in 2019. To celebrate My Life On Repeat‘s release the Surfers are hitting the road up and down the East Coast for their first big headline tour this April, with tickets selling fast. There’s only one thing left to do. Just ride the wave. ‘MY LIFE ON REPEAT’ EP is out everywhere now.